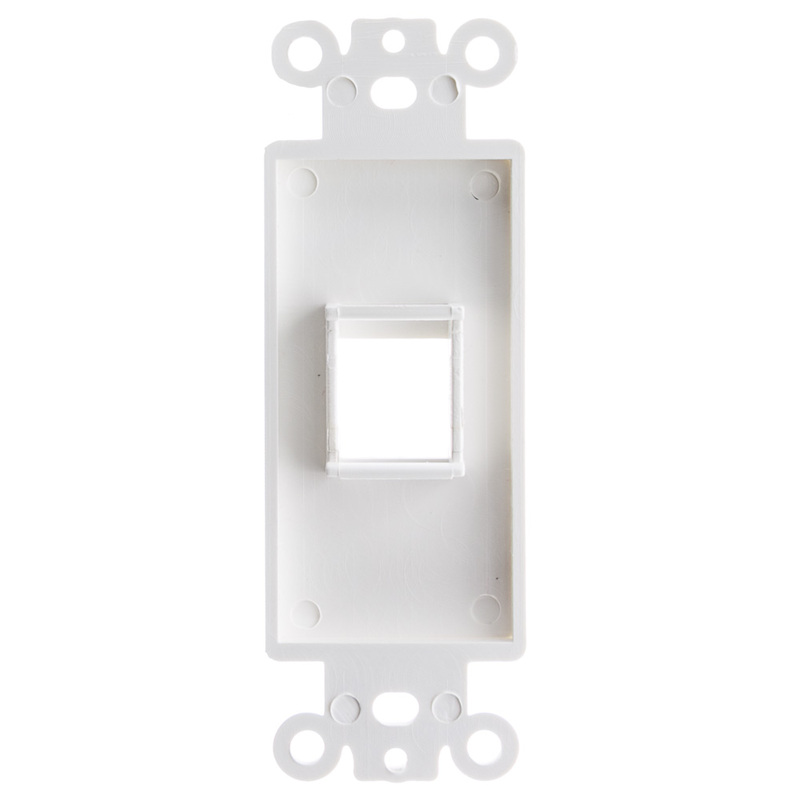 This single-gang Decora wall plate insert has one keystone jack module. 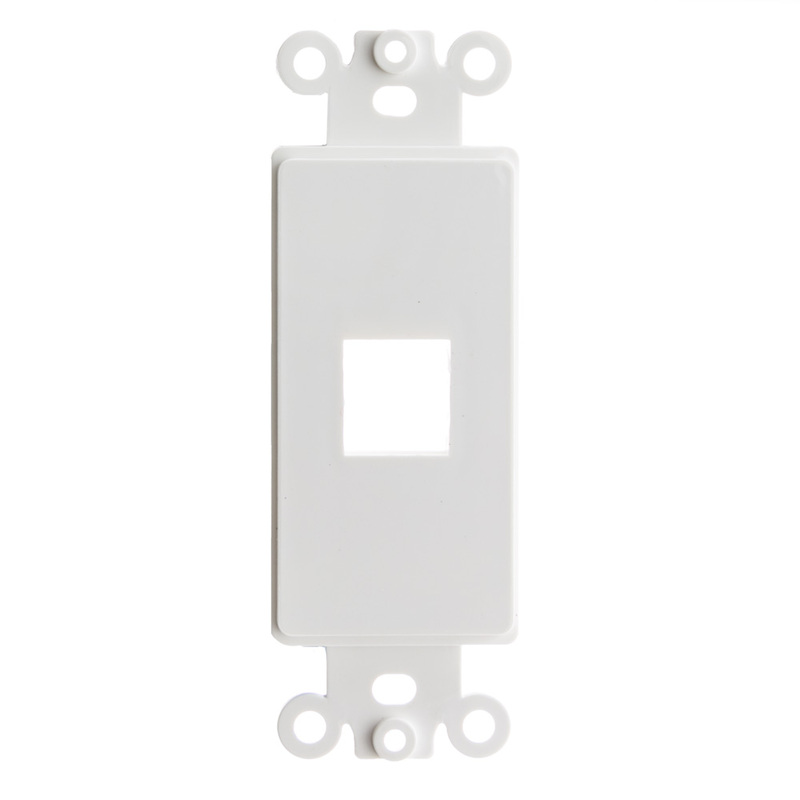 These inserts can be used with any snap-in keystones. Does what it is intended to do. Quality seems in line with what to expect. 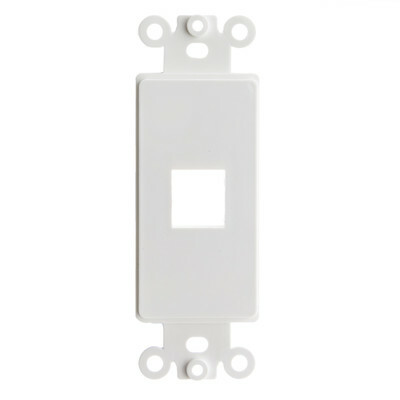 Beware, these will not match wall plate purchased from here. the corners were a bit too square to fit the decora wall plate but a bit of fine sand paper fixed that. The only criticism is the absence of a pair imbedded threaded metal grommets (as found on a brand-name insert plate) for attaching the finishing cover-plate machine screws, making for a more reliable structure. Instead of the threaded grommets, 2 rather sinister looking tap screws are provided in the place of more finished looking small machine screws. Can't have it all at this great price though.